And with that announce-ment from our friends over at Pag-asa, there will surely be massive beelines to the country’s beaches, for some fun in the sun. I’ve always loved going to the beach since I was a child. I prefer it over the usual summer destinations like the cool climes of Baguio or Tagaytay. Just walking along the shore, with the sand scrunching in between my toes, or splashing in shimmering, turquoise waters that not only relaxes the body but also renews the spirit. So consider this list as a mixed bag of the popular and the lesser-known beaches that are still accessible (as long as you have the patience), and are sure to provide massive enjoyment to you and your family and friends. You can't argue with success - the white sand beach of Boracay is still the best in the world, according to top international publications and travel blogs. 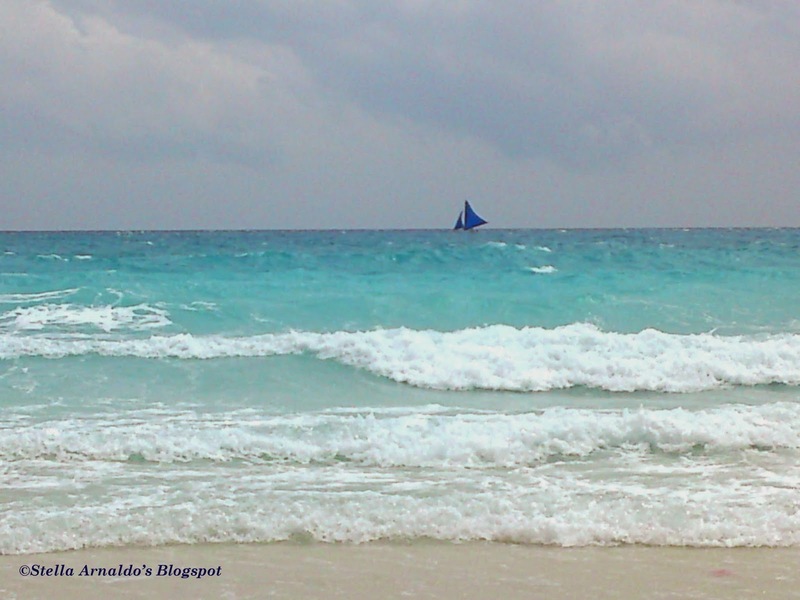 Of course the title of top beach in the country still goes to Boracay Island’s White Beach. It has fine, white-powdery sand the consistency of confectioner’s sugar, and while the waters close to the shore are now usually bedeviled by seaweed, further out it is all clear where it’s still possible to see tiny fishies darting about underwater. This time of year, the island will be pretty crowded, and with the bars cranking up the volume to entertain the drinking and dancing masses of humanity, it’s no wonder Boracay has come to be known as “party central” among beach-goers. Aside from white beach, the island has some of the best homegrown restaurants and cafés offering all sorts of cuisine from around the world. Resorts range from the one-note cottage fanned by the breezes or a ceiling fan, to luxurious five-star enclaves with infinity pools, spas and professionally-run restaurants. The sand is a fine gray, which can really get hot as the sun creeps toward noon. But toward the afternoon, it cools down and makes for a great beach-volleyball court. The waters are also quite clear but at certain times of the year, the waves can get pretty rough with a strong undertow. 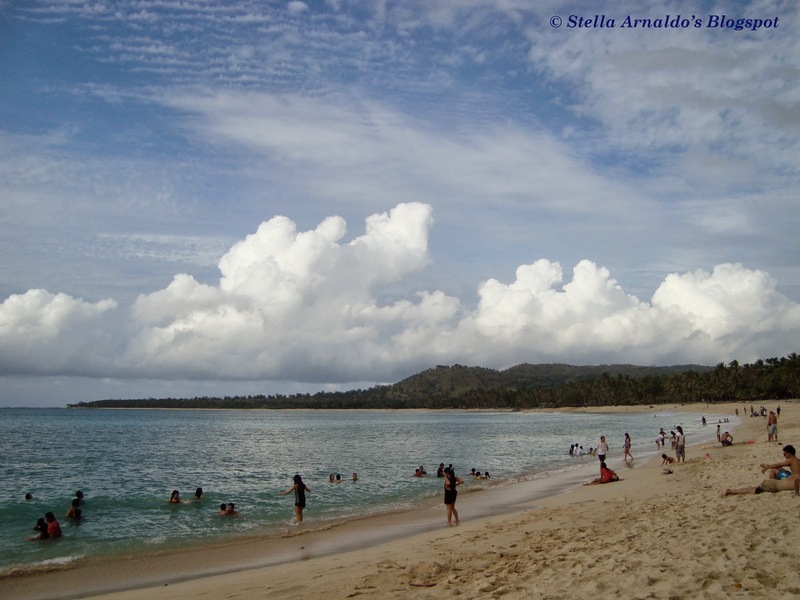 There are a number of resorts to choose from but the better part of the beach is at Barangay Binoclutan. Aside from the beach, there is a turtle hatchery operated by the Department of Environment and Natural Resources and waterfalls nearby. Getting there: Drive north along the North Luzon Expressway, enter the SCTEx and make your way through the Subic Bay free port, exiting at the Zambales National Highway. There are road signs pointing to Botolan and resorts in the area. Going to Candelaria, take the Zambales-Pangasinan Road from Botolan—it’s just 45 minutes away. Though its white sand is not as fine as Boracay's, Pagudpud in Ilocos Norte still has its own charm. Pagudpud is the northernmost municipality of Ilocos Norte, and straddles two beaches—Blue Lagoon, which was once a secluded area at Maira-ira Point—and Saud Beach, the more public beach. While Saud Beach is the more popular area because there are more resorts and restaurants, there are portions where the rocks underwater are quite huge and can hurt your feet. The sand is an off-white variety with crunches under your feet, but is a joy to lie on and sunbathe away. At Blue Lagoon, the waters are crystal-clear with more sandy areas, although good resorts are hard to come by. An added attraction is a zipline. While Pagudpud is often called “Boracay of the North,” just scale down your expectations regarding its resorts and restaurants. Think Station 3 and you’ll be just fine. Getting there: You can travel the 11 hours by land from Metro Manila to Pagudpud (via North Luzon Expressway, Subic-Clark-Tarlac Expressway going to Tarlac and Pangasinan, keeping to the MacArthur Highway until La Union, and on to the National Highway and through Manila North Road, turning to the Pan-Philippine Highway to Pagudpud), but it would be better to stop over in Laoag, Ilocos Norte, to rest for a night. Philippine Airlines and Cebu Pacific also fly from Manila to Laoag (one-hour flight). From there, you can rent a van or take a 90-minute bus ride to Pagudpud, then take a tricycle to your resort. This is simply the best beach in Nasugbu, and one of the most accessible from Metro Manila. The sand is a creamy tan, and the waters have remained stunningly clear through the years. Being a cove, it is free from the runoff and garbage from Manila Bay that usually plagues many Batangas beaches, for the most part of the year anyway. During the monsoon season, the surfers and skim boarders come and ride the waves. The beach is now part of an exclusive private development called Kawayan Cove, so it’s best to find someone who owns a home there. Okay, I know that part was probably a hiccup, but I trust in the six-degrees-of-separation theory; I’m sure you will find a friend who has a boss with a relative who owns a villa there. Getting there: Drive down the Slex, take the Santa Rosa Exit, head toward Tagaytay and keep going until you reach the Nasugbu town proper. There are signs that will point you to Kawayan Cove. It is one of the spectacular white beaches that remains under the radar of the typical urbanite beach- goer. It may be a major production to reach this place, but once you arrive in Mahabang Buhangin, you will likely forget how long you sat on the bus for the trip. As the name implies, this is a stretch of pristine white sand that seems to go on forever, with a splendid shimmering sea of blue water that remains transparent even in chest-deep water. There are no resorts on the island, so it’s best to take basic camping equipment such as tents, food and water, flashlights and extra batteries or an oil lamp (yes, there’s no electricity! ), and cooking/eating utensils. There are a few tiny nipa huts as well for rent and a public toilet. Getting there: If you want to go on a road trip, you can drive from Manila to Daet (via Slex, take the Calamba Exit and onward to San Pablo City, Laguna, taking the Pan-Philippine Highway through Gumaca, Quezon, then to Daet), which takes about six to seven hours. From there, go to Paracale for another two hours then a tricyle ride to Barangay Palanas, where you can ask local fisherfolk for a boat ride to Mahabang Buhangin (about P2,500 to P3,000 for three to eight persons). Or take a public bus from Pasay or Cubao to Daet, Camarines Norte, then hop on a public van to Paracale (about 10 to 11 hours total). You can also take a direct flight from Manila to Naga City, Camarines Sur (45 minutes via PAL or Cebu Pacific), then from the Central Business District Terminal, ride an air-conditioned bus for two hours to Daet.